Actually, I’ve been to this restaurant so many times, and I would like to share with you guys what I have on my mind about this restaurant. This restaurant has some branch in around KL, the one that I’ve visited is located in Sunway Pyramid, One Utama, and Fahrenheit Mall. 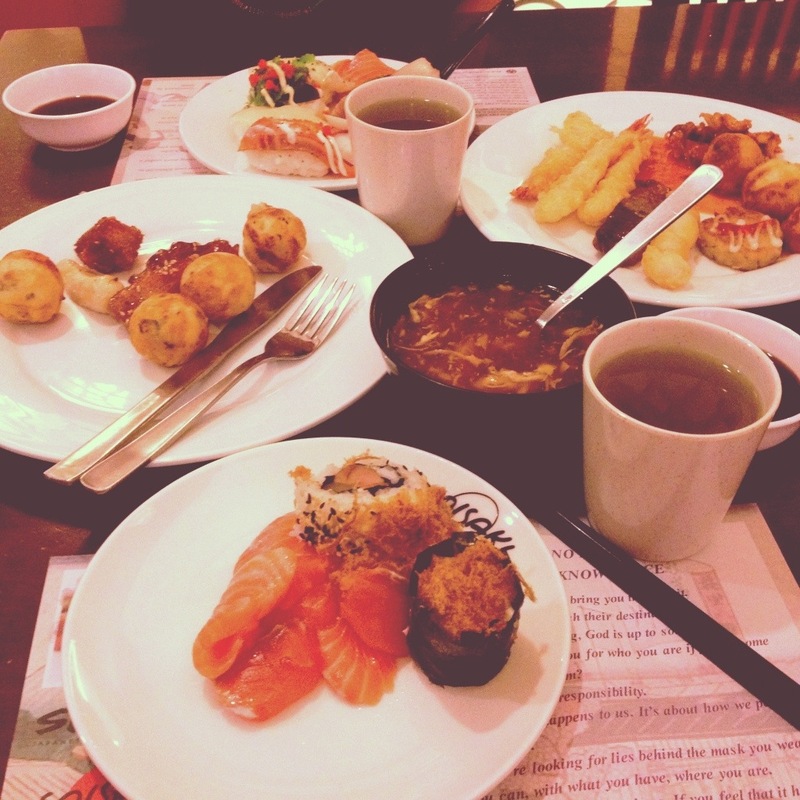 This restaurant serves a lot of japanese food, well if we talk about japanese food, our mind is always pointing to sushi. Yes, they have a lot and a lot of sushi for you to eat. 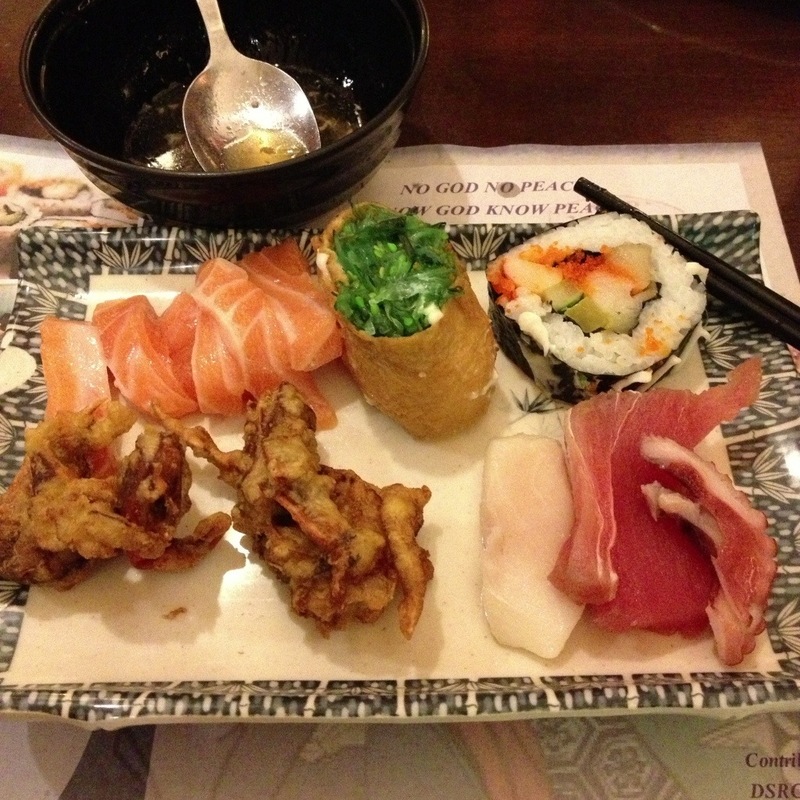 And then, one of my girlfriend’s favourite dish from here is…. Oyster! 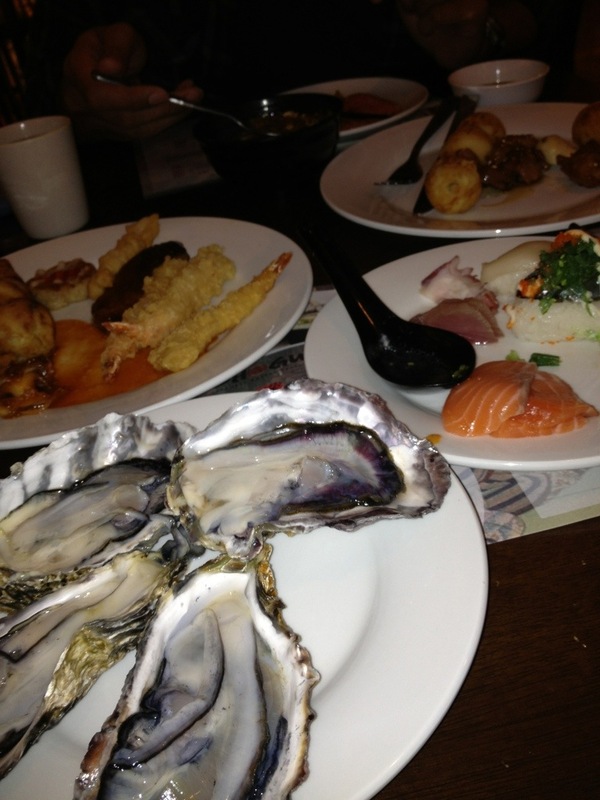 Fyi, you should ask to them first in order to get this oyster, because they didn’t serve it in the buffet table. And for the soup, they have one soup called “Budha jump over the wall”, and then they also serves one of my favourite soup called “Shark fin’s soup”. 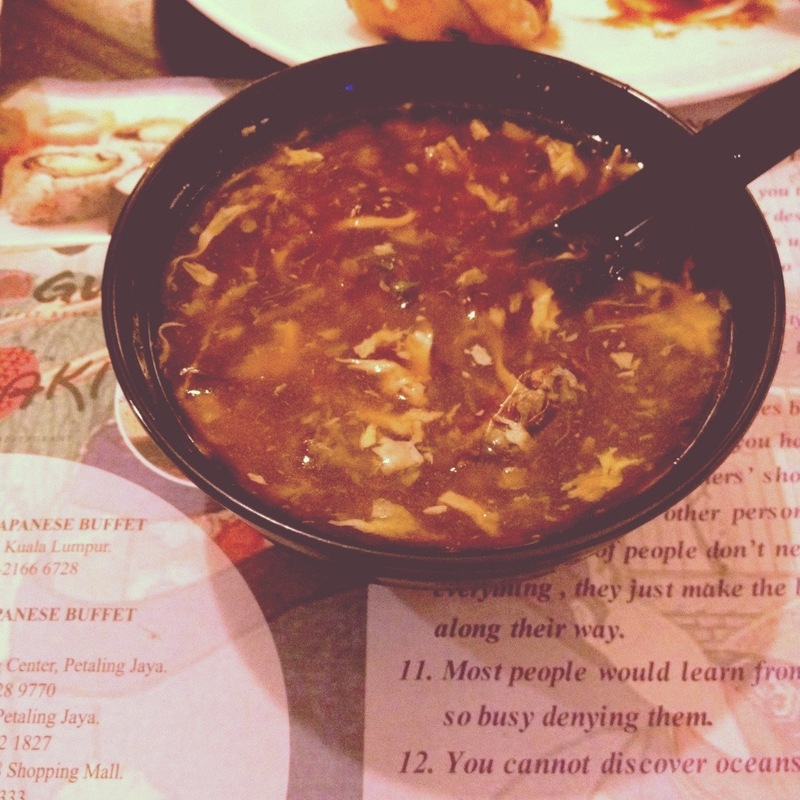 Yeah I know that it’s not a good idea at all eating that fish’s fin, but I rarely eat those kind of soup. But still, sorry Neptune. Oh ya, they also serves Escargot here, I tried it once, the taste is actually nice, but the way they serve it with it’s shell, it made me feel gross. 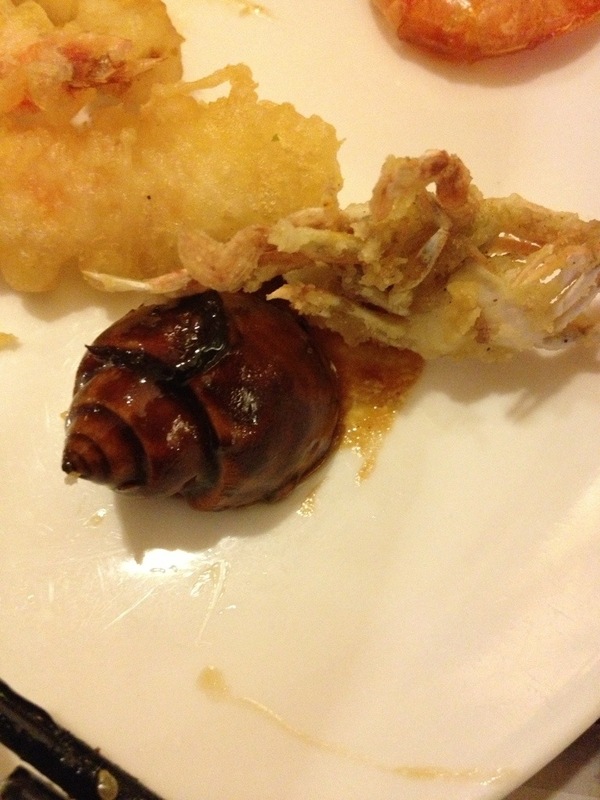 But I prefer Escargot dish to be in BBQ, and give some peanut sauce, hmmm yummy. 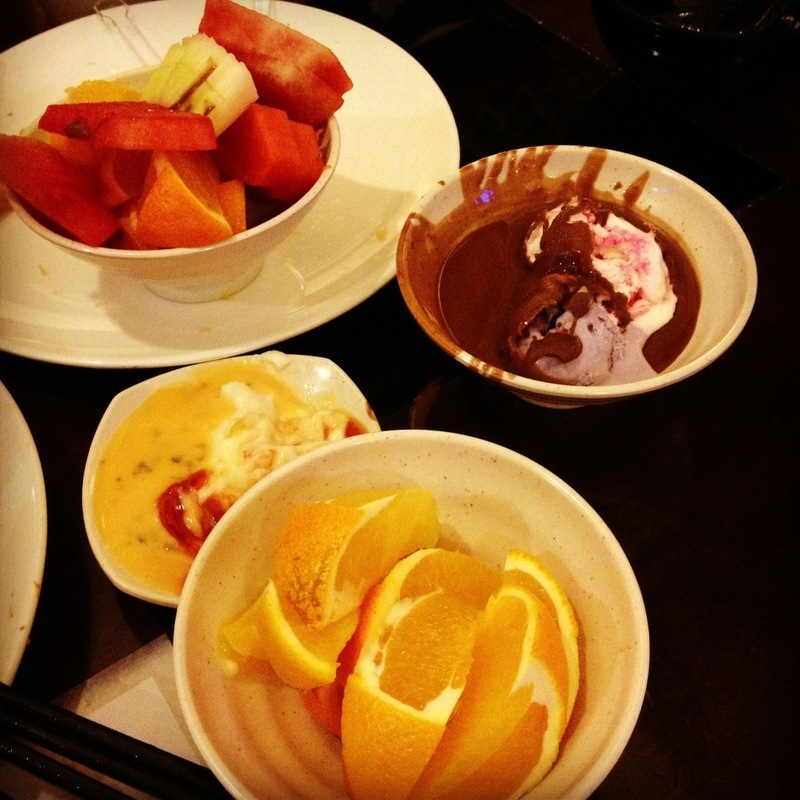 And here comes the dessert, they serves Ice cream, orange, pudding, and they also have chocolatte fountain for the fruit dip. But the thing that made me dissapointed, sometimes the green tea ice cream is finished while that ice cream is one of my favourite dessert if I’m going to japanese restaurant. I spent around RM140 for two people, so each people is considered around RM70. It’s kinda pricy btw, but at least it’s worth the price.